Hey guys! Been awhile since the last update – so I’m dropping by with a quick post to make sure this blog isn’t completely dead, lol. 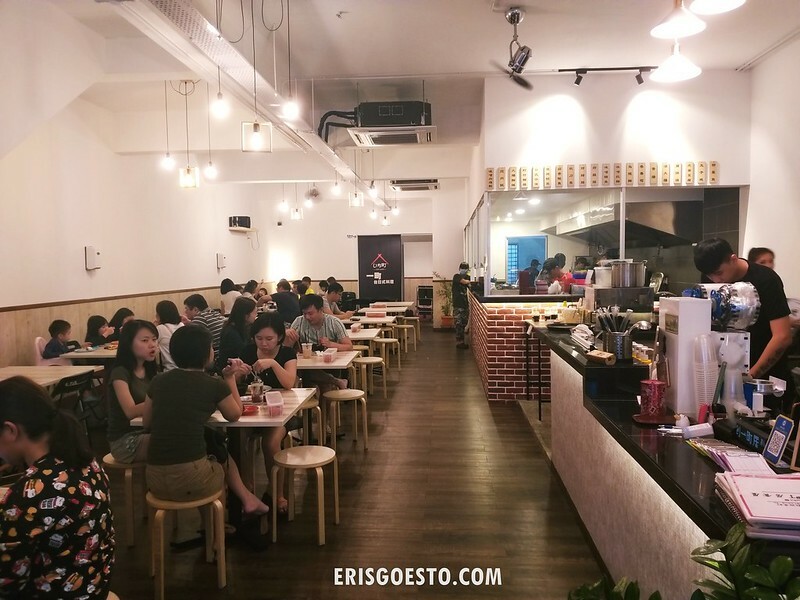 S and I initially wanted to grab BBQ buffet dinner at Ruk Mookata in Bandar Puteri Puchong last weekend, but after considering the price, we decided to check out a new, cheaper place just across the road that serves Taiwanese and Japanese cuisine. Despite its minimal decor, the warm lighting makes Ichimachi a cosy spot, and there’s an ‘open’ kitchen where you get to see the chefs in action. The menu is a mix of Japanese meals such as saba (grilled mackerel) and chicken karaage bento sets, katsudon, and curry rice, as well as Taiwanese favourites the likes of braised minced meat rice, meesua and sweet potato balls. 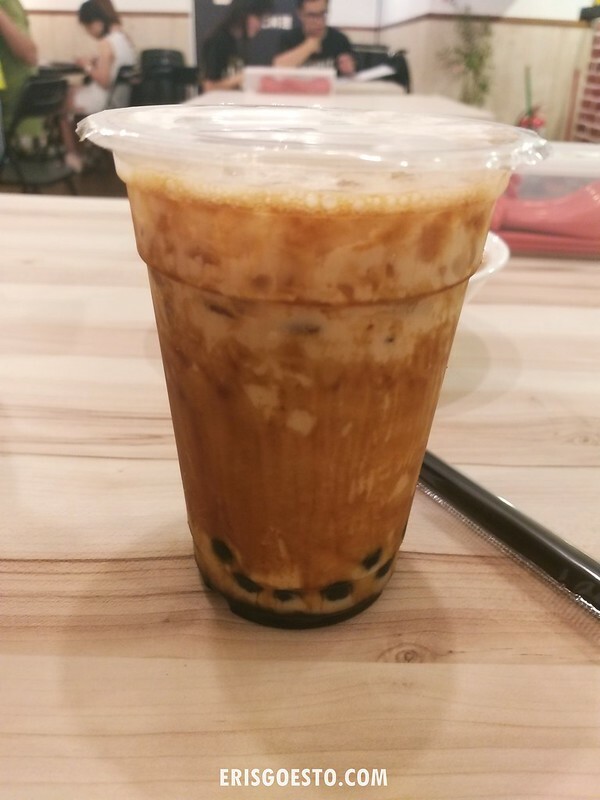 S and I felt like having Taiwanese, so we kicked things off with a glass of Brown Sugar Pearl Milk Tea (RM4) each. Strong milky taste accentuated by deeper, thicker notes of dark brown sugar and chewy pearls – good stuff. The most basic bowl you can get here is the lurou fan (RM5.50), which is almost a Taiwanese national dish. 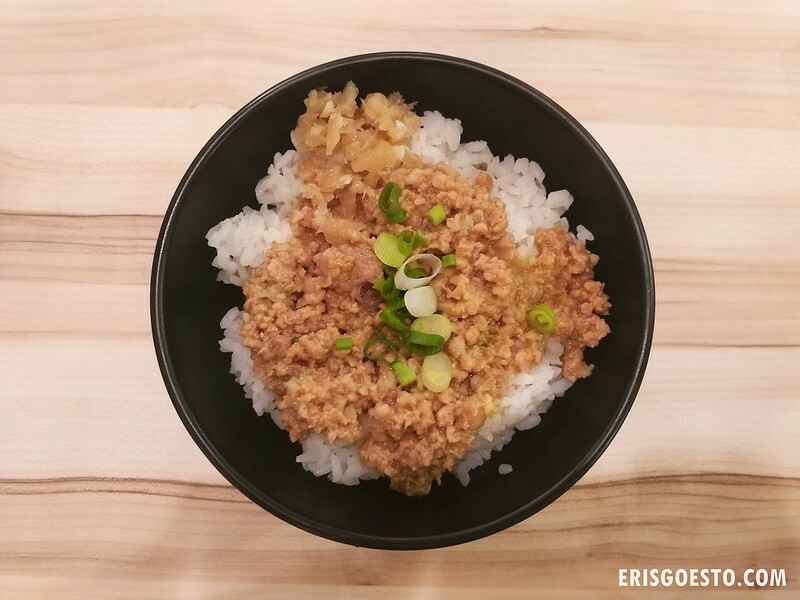 Minced meat is braised in a dark soy sauce and topped over steaming white rice – the ultimate comfort food. However, the version here pales in comparison to the authentic version. From looks alone, the meat is much lighter in colour and lacks the defining thick, meat sauce. Didn’t try it, but S says that it didn’t taste much different from normal minced meat. I had meesuah (Flour vermicilli) with all the trimmings – oyster, pork and innards (RM10). 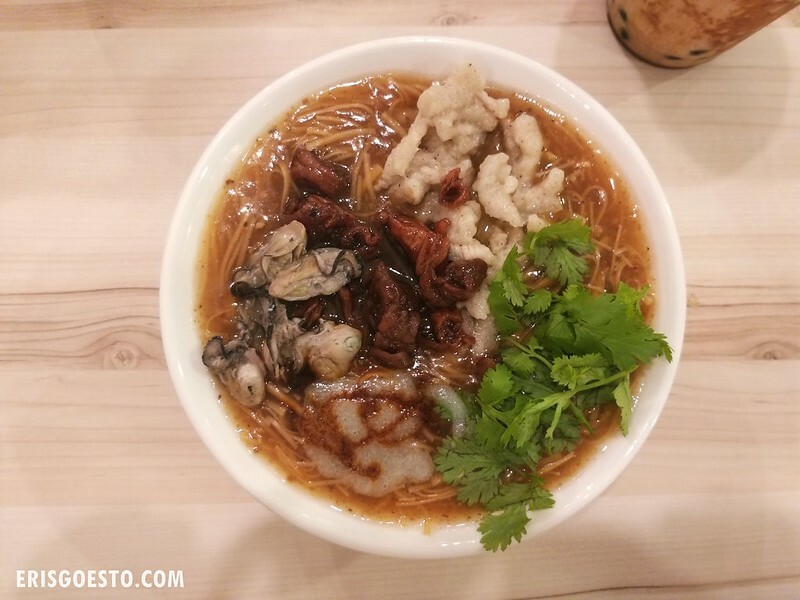 Meesuah is another popular dish in Taiwan, where they serve it without chopsticks, as the slippery smooth noodles in a broth can be eaten purely with a spoon. The version here was decent, although the pork was tasteless and had an odd jelly-like quality to it, while the innards were a tad too sweet. For snacks : Fried oyster mushrooms. 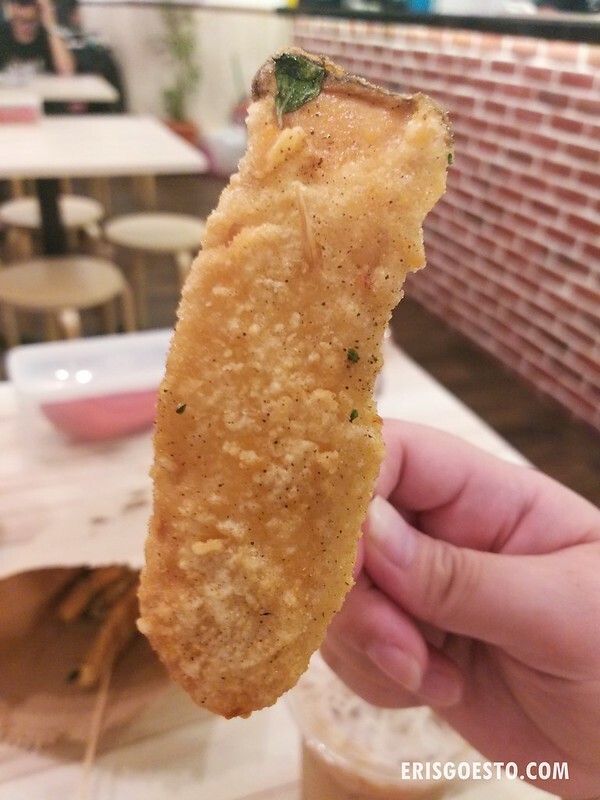 They were served in a paper baggie like how you’d get them from Taiwan’s famous night markets. Batter was too thick and mushrooms were not seasoned well, so just meh. 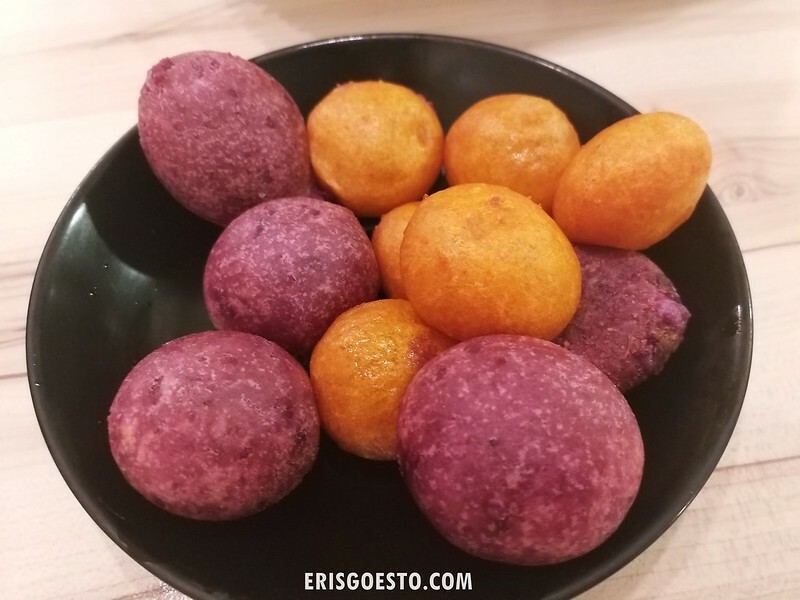 The sweet potato balls fared much better – I’d nominate them as best dish of the night! Puffy on the outside but hollow on the inside, their crisp exterior crumbles in with each bite to reveal an almost chewy center, with a hint of sweetness. Wasn’t oily either. If there’s one thing I’d come back to Ichimachi for, it’s the balls. Our meal came up to RM40: a reasonable price seeing that if we went ahead with our original BBQ plan, it would have been RM50 per pax lol. Have yet to try other items on the menu, but prices are reasonable so probably worth another visit.